…someone who likes a series. 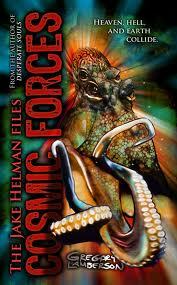 Jake Helman is one badass character, packing more attitude and swagger than you could possibly imagine. The Jake Helman Files, a supernatural/noir series by Gregory Lamberson, is 100% Dreadfully Approved, and worth every second. Start with Personal Demons, move on to Desperate Souls, and then throw down with Cosmic Forces. You won’t be disappointed. Tortured Spirits, the 4th book in the series will be available in October 2012.